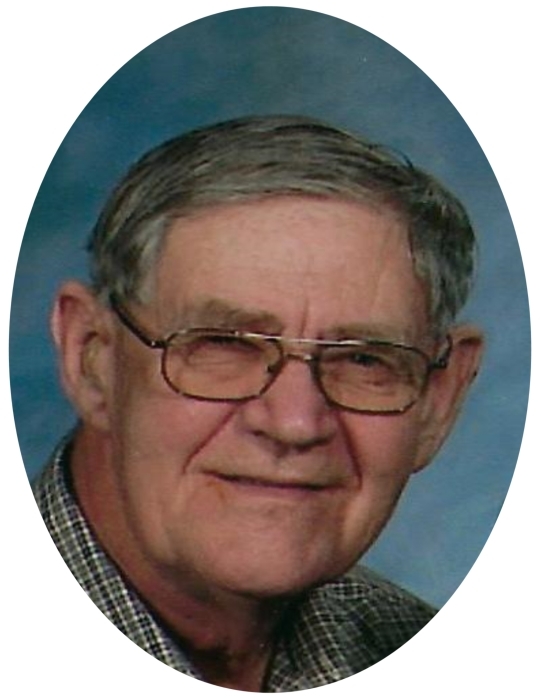 Benjamin Franklin Zuercher, age 85, of Garber, IA, died Saturday, June 23, 2018, at the Guttenberg Municipal Hospital. He was born on August 31, 1932, in Arlington, the son of Louis Sr. and Gladys Zuercher. Ben received his education from the country schools and later from the Fayette public school. On April 21, 1954, Ben was united in marriage with Mildred Rose Althoff at Holy Trinity Catholic Church in Luxemburg. For many years, Ben farmed and drove truck in the construction industry. He was a long time member of St. Michael’s Catholic Church in Garber until it closed and since has been a member of St. Joseph’s Catholic Church in Elkader. Ben enjoyed volunteering at George Meier Heritage Museum all the way up to this year, fishing, gathering and shelling nuts, telling stories and jokes and spending time with family and friends. Ben will be forever loved and cherished by his wife of 64 years, Mildred; children, Robert (Wynn) Zuercher, Joseph (Linda) Zuercher, Geralyn (Barbara) Zuercher, Wayne (Karen) Zuercher, Julie (Brian) Doeppke, Sue (David) Barmore, Douglas (Jennifer) Zuercher & Michael (Bridget) Zuercher; daughter in law, Cami Zuercher; 29 grandchildren; 17 great grandchildren and many other relatives and friends. Ben was preceded in death by his mother when he was 3 days old; father, uncle and aunt, Ben and Maude Chase who helped raise Ben; brother Louis Jr who passed as a young boy & son Lee Zuercher in 2009. In Lieu of flowers and all styles of sympathy, the family request that all memorials be mailed to Mildred Zuercher, 30508 Ivy Ave Garber IA, 52048 to be distributed to various organizations that meant so much to Ben.